The Chinese smartphone manufacturer is already a star in its home country, but OPPO has been getting a lot of extra attention lately, and from international press now more than ever. Unlike some brands, it's fairly new (founded in 2005) but it still manages to have some interesting stories in its history already. Here are some interesting facts, anecdotes and little known secrets of OPPO. Contrary to what one might think, OPPO did not start out by selling smartphones. Indeed, before venturing into the highly competitive mobile phone market, OPPO was known for its MP3 players. But there was only one key release in China and some Asian countries. 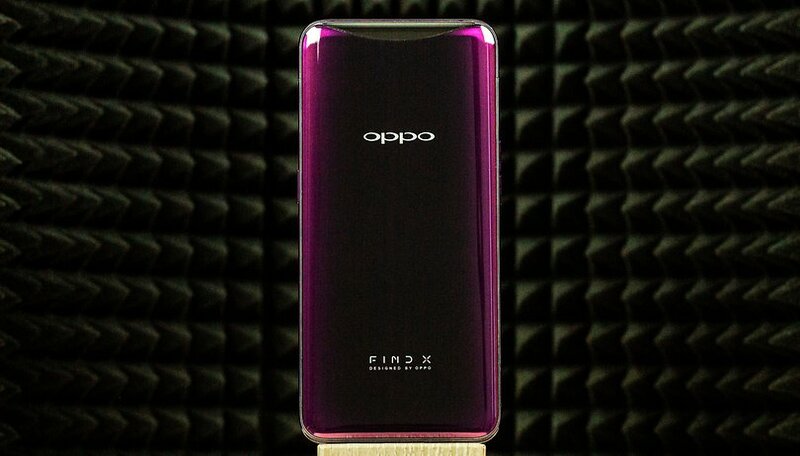 One of their first products was the OPPO X1, an MP3 player with 2GB of memory! It's not until 2008 before the Chinese manufacturer gets interested in phones. One of OPPO's first mobile phones was the Smile Phone, a phone with a smiley face on the back of the device. It was only later that OPPO began to make people talk. The Finder, launched in 2012, already included a 4.3-inch Super AMOLED display and an 8-megapixel rear camera. Although not well known in Europe and the United States, Oppo is the world's fifth biggest smartphone maker behind Samsung, Huawei, Apple and Xiaomi. Long in fourth place, it has been dethroned since the first quarter of 2018 by Xiaomi. The arrival of the brand in Europe country is a symbol of OPPO's desire to grow and confirms the growing appetite of the Chinese manufacturer for a market in which has long been left out, particularly because of the mistrust of users towards Chinese brands. OPPO has been one of the partners of the Spanish football club for the last three years. At signing, the agreement was the largest investment ever made by a Chinese company for the sponsorship of a European football club. During this partnership, the brand unveiled special FC Barcelona editions of its smartphones (OPPO R7, R11...). For the record, the FC Barcelona edition of the R7 Plus was sold under the slogan "The Smartphone Champions" and sported the coat of arms FCB on the back, as well as a wallpaper and a screen saver with a Barça theme. OPPO didn't just appear out to thin air. The company shares something in common with Vivo and OnePlus: BBK. The large group is the parent company behind these three brands. This conglomerate was created by billionaire Duan Yongping, one of the most influential Chinese businessmen. More than 17,000 employees work there. According to estimates by IDC, the number of BBK phones delivered in 2017 is nearly 200 million units, almost the same as that of Apple, although the average price of a BBK phone is probably a few hundred dollars lower than Apple's average selling price. If the Find X or the Vivo Nex have made a lot of noise in recent weeks, this is mainly because of their 100% bezelless screens but also their motorized camera. However, this isn't really new. OPPO already presented a smartphone with a motorized camera in 2014, the OPPO N3. The device had a rotating camera inherited from its predecessor, the N1, but made automatic. The motorized camera included a single 16-megapixel sensor capable of rotating at 206 degrees (to be used also for selfies). It could be controlled from a remote called O-Click 2.0, as well as through the back of the device. What do you think of OPPO and the new Find X? #6, Oppo builds ALL phones sold by the OnePlus branch of BBK.